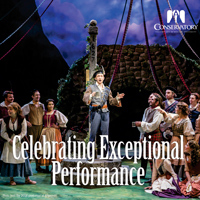 Webster University's Global Marketing and Communications unit has earned nine more advertising and marketing industry awards for advertising and print production for admissions and recruitment, institutional branding, and the Conservatory of Theatre Arts. The awards for 2018 activities were received from the SIAA, Collegiate Advertising Awards and the Educational Advertising Awards. 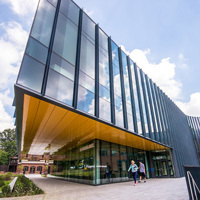 The University has selected Primacy as the digital services firm to design and create the next iteration of the external website, webster.edu. 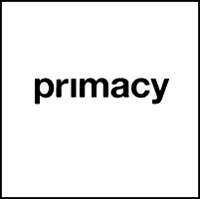 Primacy's first campus visits for consulting with University community members will take place this month in Webster Groves and South Carolina, where they will engage in research and discovery sessions with key stakeholders representing faculty, staff, administration and current students within the Webster community. Tony Wallner and Basiyr Rodney were each interviewed in a KMOV feature on the $124,000 National Science Foundation grant for Webster to educate future science teachers in the St. Louis region. ... Bernie Hayes was interviewed on KSDK about the musical legacies of Miles Davis and Chuck Berry. ... The annual High School Science Fair held in Browning Hall was covered on campus by KMOV. 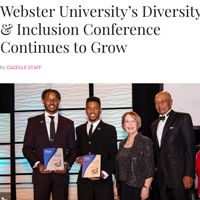 President Beth Stroble and Chief Diversity Officer Vincent C. Flewellen were featured in Gazelle magazine discussing Webster's diversity and inclusion efforts and this spring's conference. ... Susan Polgar was interviewed by Fox 2 while two chess team members played live on air after Webster's seventh consecutive Pan-Am Championship. ... Basiyr Rodney was interviewed on KMOX radio and Fox 2 News about school districts that have moved to a four-day week. 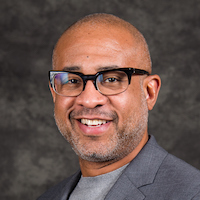 Vincent C. Flewellen, chief diversity officer, was quoted multiple times on camera in a national NBC News story about “Witnessing Whiteness” programs, which create spaces for white people to confront their biases. ... The chess team won its record seventh consecutive Pan-Am Championship, garnering coverage in multiple news and chess publications. ... Carole Gaspar's NATS Lifetime Achievement Award was covered in the Troy Messenger. 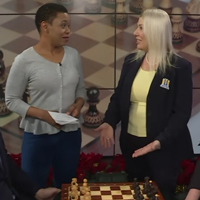 Chess coach Susan Polgar and two team members played live on Fox 2 news ahead of this month’s Pan-Am championship, which they will attempt to win for the seventh consecutive time. … Two marketing students who were part of the winning team in the Chevy dealers competition were interviewed on Channel 4’s Great Day St. Louis. … Ghana director Christa Sanders was profiled in New African Woman magazine, on promoting a global approach to education. 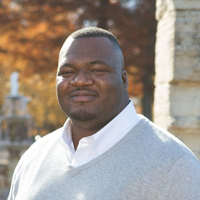 … Remy Cross was interviewed in Associated Press stories about a unionization vote in the St. Louis County Prosecutor’s Office. Thursday's World AIDS Day events at Webster were covered in multiple outlets, with Fox 2 shooting on campus, KTRS radio interviewing Dean Tony Wallner, and CBS affiliate KMOV-TV also promoting the free HIV/AIDS testing. 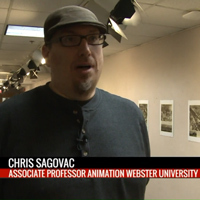 ... Chris Sagovac and several students were part of a Fox2 feature on the Animation program after SpongeBob SquarePants creator Stephen Hellburg's death. ... Bernie Hayes was featured on "St. Louis On the Air" for his new position as interim director of the National Blues Museum. Today at noon on St. Louis Public Radio’s “On the Air,” School of Communications student Deja Lawson and faculty members Art Silverblatt and Jess Bellomo will be part of a cross-generational conversation about media literacy. ... This week KMOX AM radio ran several segments about the candlelight vigil held on the Webster Groves campus Tuesday evening. ... Last weekend Remy Cross was interviewed for several segments on Fox 2 about the frequency of terrorism carried out through domestic mail. The St. Louis Post-Dispatch profiled iLLPHONiCS, a hip-hop fusion group formed in 2007 by Webster University students, as they recorded with Grammy-winning music producer Tony Visconti with engineering by alumnus and audio faculty member Justin Fisher. 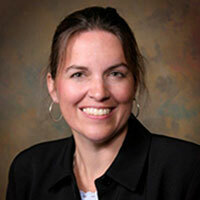 ... Julie Setele was quoted in the Post-Dispatch on abortion rights. ... Jack Croghan's appearance on Friday's "St. Louis On The Air" can be replayed online. ... 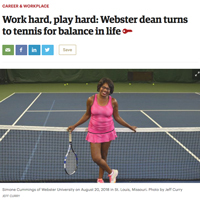 The Webster Kirkwood-Times featured today's Sverdrup grand opening event. Nicole Miller-Struttmann is in Smithsonian Magazine discussing her research of bee behavior during the 2017 total solar eclipse. ... Sports and Entertainment Marketing program lead Jack Croghan appears on Friday's "St. Louis On The Air" program to discuss the latest proposal to bring MLS soccer to St. Louis. 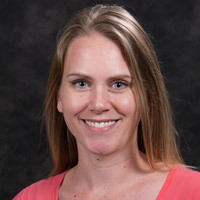 ... Economics faculty member Sarah Dubberke was on NBC affiliate KSDK Thursday morning discussing consumer tips for using credit cards. Emmanuel Balogun co-wrote a guest column in the Sept. 27 issue of the Washington Post drawing on his research on health crises initiatives in Africa. ... Leiden's Sheetal Shah is the latest subject in the “10 Questions” series on Dutch News, discussing her experiences in India and the Netherlands. ... Dawn Rodak and the new Melbourne location are the cover story of the Brevard Business News, describing Webster's history and plans in this coastal Florida region. 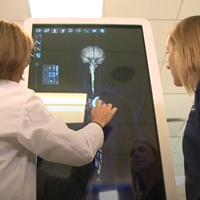 Webster's Nurse Anesthesia program and Browning Hall were featured by NBC affiliate Newschannel 5, including an interview with program director Jill Stulce. ... Cybersecurity program lead Paul Frazier was part of an international TRTWorld roundtable on cyber attacks recorded out of London. ... Sports and Entertainment Management program lead was interviewed on St. Louis Public Radio about why the annual LouFest music festival was canceled.